The Yolo Basin Foundation expands public appreciation and stewardship of wetlands and wildlife in the Yolo Basin through education and innovative partnerships. Yolo Basin Foundation was founded in 1990 as a community based organization to assist in the establishment of the Yolo Bypass Wildlife Area. 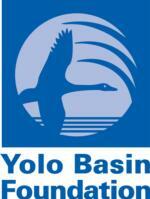 We are universally credited with being the driving force behind the partnership that created the Yolo Wildlife Area. Our most significant cooperation is with the California Department of Fish & Wildlife, who currently manages the Yolo Bypass Wildlife Area. Yolo Basin Foundation continues as the communication link between many people and organizations involved in creating wetlands and managing the land in the Yolo Bypass. The Yolo Basin Foundation’s California Naturalist course is a field based course with a classroom component. John Muir, Thoreau, You? If you love the plants, animals, insects, rocks, and water of California, you’ll love being a California Naturalist. Yolo Basin Foundation has partnered with UC Extension to offer a California Naturalist course open to all lovers of nature, regardless of skill level, experience, and education. California is an immensely diverse place that would take many lifetimes to cover in its entirety. Therefore, the California Naturalist course is designed to provide an overview of the ten (10) bioregions with more focused coverage of specific topics. Course Schedule: October 11-November 15. Five (5) all day field trips will be held on Saturdays. Six (6) Wednesday night classes will be held from 6:00 pm to 8:30 pm at the Yolo Bypass Wildlife Area Headquarters. Course participants will complete a total of 40+ hours of coursework over 6 weeks. Cost: $375 For Yolo Basin Foundation Members before August 1st , 2017, $400 after. $450 For non-members before August 1st , 2017, $475 after. A limited number of scholarships are available, contact Yolo Basin Foundation for more details. Registration page and more information here.